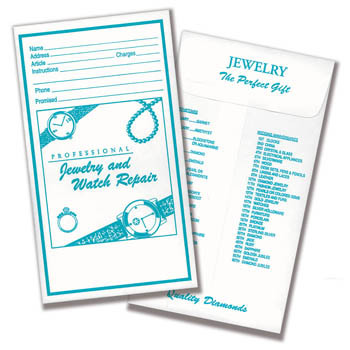 Works for both jewelry and watch repair. Back side lists birthstones and appropriate gifts for each wedding anniversary. There is a box at the bottom of the envelope for your store name. 5-1/2" x 3-1/8". Price per box of 500.